When a 17-year-old by the name of Lionel Messi made his debut against Espanyol in 2004, few could have imagined the impact that the small Argentine would have had on the history of the Club. 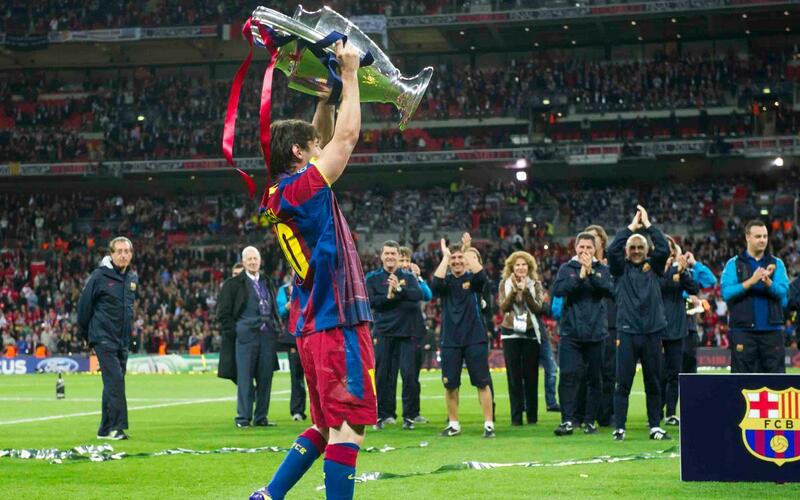 Thirteen years later, the player recognised as the best in the world, has helped Barça to a total of 30 trophies, and there is still plenty more to come. The mercurial no.10 brings commitment, spectacle, magic and much more to the plate. The 30 titles won in his time include: Eight league titles, seven Spanish Super Cups, five Copa del Rey, four Champions Leagues, three European Super Cups and three Club World Cups. The next challenge for Messi is to surpass the record figure of trophies won with one club set by Ryan Giggs, who lifted 36 pieces of silverware with Manchester United.